An average of 7 percent of nonprofit emails end up in spam folders each month – and more than 10 percent during year-end campaigns – potentially costing charities as much as $7,400 in revenue each year. Every percentage of email going to spam results in a loss of $1,052.64 annually, according to the 2016 Nonprofit Email Deliverability Study. The study, released today by Washington, D.C.-based CRM provider EveryAction, analyzed 55 national nonprofits, comparing deliverability data to last year’s findings. “There were some improvements over last year’s results but email deliverability continues to be a costly problem across the nonprofit community,” according to the study’s author, Brent Schenker, email deliverability specialist with EveryAction. End-of-year fundraising campaigns saw an increase in the amount of email ending up in spam folders when compared to 2014. November had the highest spam rate at 10.31 percent and February had the lowest 5.77 percent. The report incorporated other nonprofit studies to calculate the estimated loss in revenue, examining three scenarios based on a nonprofit sending two fundraising email asks per month to a 100,000-person email list: 0 percent spam, 1 percent spam, and the average 7.03 percent spam. A spam rate of zero would yield revenue of $105,264 annually, based on an average donation of $68, page complete of 15 percent, click rate of 0.43 percent, and open rate of 15.94 percent. A 1-percent spam rate would yield $104,211.36, or $1,052.64 less than the zero spam rate. The average spam rate of 7.03 percent would generate $97,863.94. Organizations sent slightly more mail during 2015 year-end campaigns and open rates were similar to 2014 but more emails went to spam. Charities sent almost three times as many emails during #GivingTuesday than they normally do, an average 2.35 versus less than one on a typical day. And that meant more spam. An average 9.27 percent of fundraising messages went to spam on #GivingTuesday – higher than the 2015 overall average of 7 percent but lower than last year’s 11.63 percent on #GivingTuesday. A nonprofit with a list of 100,000 sending the average 2.35 emails on #GivingTuesday would have lost $955.47 to spam. Among the 55 nonprofits in the report, one had about half of its tracked email go to spam while another had only 0.10 percent. Nonprofits sent more email in 2015, with more showing up in inboxes, but experienced lower open rates. Last year’s study found that an average of 12.3 percent of nonprofit emails ended up in spam folders each month. In 2014, June had the highest rate at 14.82 percent and November was the lowest at 8.03 percent. In last year’s study, 1 percent of emails to spam mean a loss of revenue of $1,203.84 per month, or $14,795 per year. The study used open rates for the 55 organizations examined and referred to M+R’s Nonprofit Benchmarks Study for average click rate, page completion rate, and average one-time email donation amount. An increased spam rate would inversely affect all of those metrics and in the end, total raised. Nonprofits using a variety of email service providers (ESPs) were chosen so results would be representative of the nonprofit community at-large. 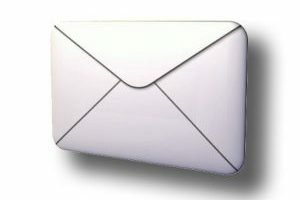 Internet service providers (ISPs) determine whether email is delivered based on the reputation of an IP address from which email is sent.